Watch to learn how to use the Origin Investments platform. At Origin, our mission is to transform the way individuals invest in private real estate. We do this by delivering best-in-class products, superior service and a proprietary, user-friendly technology platform to communicate with our investors in real time, 24/7. 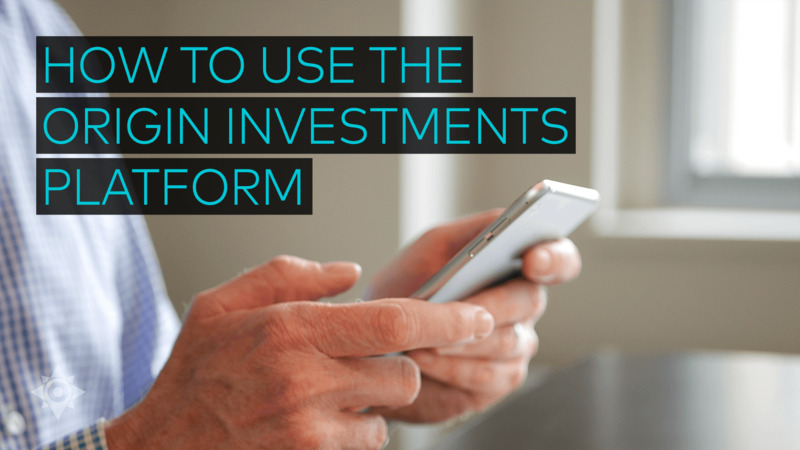 This upgraded technology platform also lets investors stay up-to-date on our latest opportunities and the performance of their investments with Origin. The cash flow guidance section provides estimated future distributions for the upcoming four quarters to help you plan for future cash needs. Additionally, the dollar amounts reflect your total estimated distributions from your entire portfolio so you don’t have to add up each individual investment if you have more than one. This table is designed to give you a quick and clear snapshot of your portfolio performance since you began investing with Origin. You can toggle between viewing the figures in percentages or dollars. The figures reflect the quarter-over-quarter net change in investment value plus any dividends. This feature allows you to drill down to the performance of each individual asset in a fund so you can clearly see your allocation to each one and how it’s currently performing. We update performance values on a quarterly basis and fund-level metrics are reported net of fees while property-level metrics within funds are reported gross. This is a ledger of all your contributions and distributions for all your investments. Your past transactions are sortable by date and investment using the “show transactions from” section or the search tool. Many investors have multiple investments that they make through different entities, such as a trust, LLC or IRA. Each of these entities is broken out separately, which allows you to see everything in a clear, concise way. As a private real estate firm that prides ourselves on being innovative and responsive to our investor’s wants and needs, we’re constantly striving to have the most effective, intuitive and reliable technology platform possible. This round of technology updates was focused on making it easier to access your investment information and we look forward to continuing to roll out new features that will increasingly optimize your real estate investment experience at Origin. If you have any questions about using the investor platform, please do not hesitate to contact us at InvestorRelations@OriginInvestments.com. Ben Harris is the Vice President of Investor Relations and Business Development where he oversees capital raising and investor relations activities.